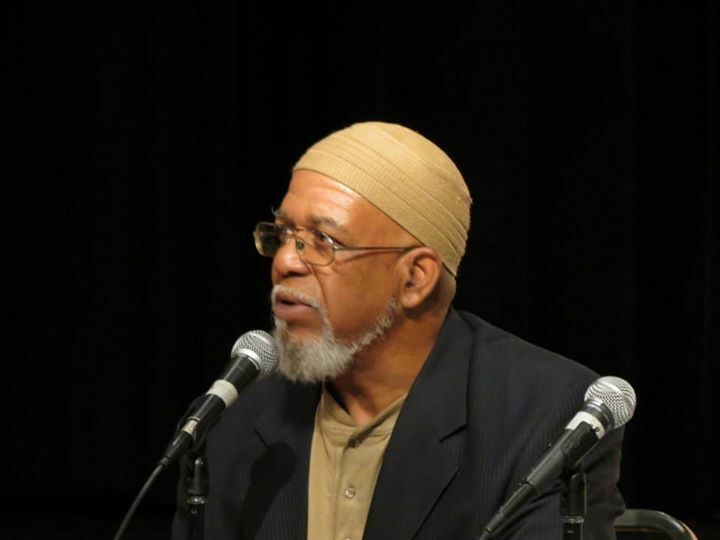 Laura McTighe and Hakim ‘Ali have worked together for more than a decade, providing immediate relief to people in prison and those returning home, and advocating for the transformation of the policies of mass criminalization that cripple so many in this country. 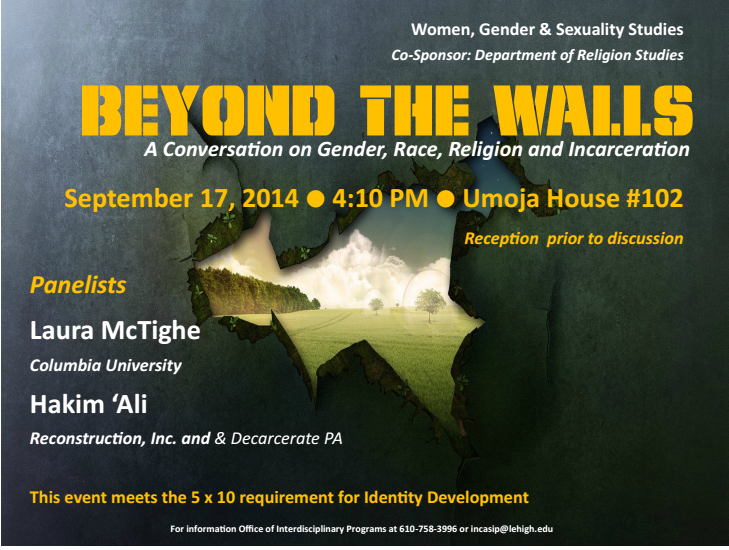 In this public conversation, they bring stories of people they have worked with and of themselves to reflect on the intersection of gender, race, religion and incarceration. They are concerned not only with the specific experience of those held in women’s facilities and those held in men’s, but also with how prisons themselves are constituted by and constitutive of racial and gender injustice in American society at large. Moreover, they are interested in how gender and race have been refracted differently through the complex history of religion and incarceration – from the theologies that undergirded the rise and expansion of the prison industrial complex (PIC) to the religious truths that drive communities in working towards its abolition today. Building knowledge that straddles the prison walls, they will leave those in attendance with a picture of what life looks like everyday in this police state and how communities are daily working to change that. Laura McTighe is a Ph.D. Candidate in the Department of Religion at Columbia University. Her research unfolds at the intersection of religion, race, gender and migration in North America, with a particular focus on the American South. Through her dissertation, “Born in Flames,” she is working with leading Black feminist organizations in Louisiana to explore how reckoning with the richness of southern Black women’s intellectual and organizing traditions will help us to understand (and do) Black history, American history and religious history differently. Laura comes to her doctoral studies through more than fifteen years of direct work to challenge structural policies of criminalization and support everyday practices of community transformation. Currently, she serves on the boards of Women With A Vision (New Orleans), Men & Women In Prison Ministries (Chicago) and Reconstruction (Philadelphia). 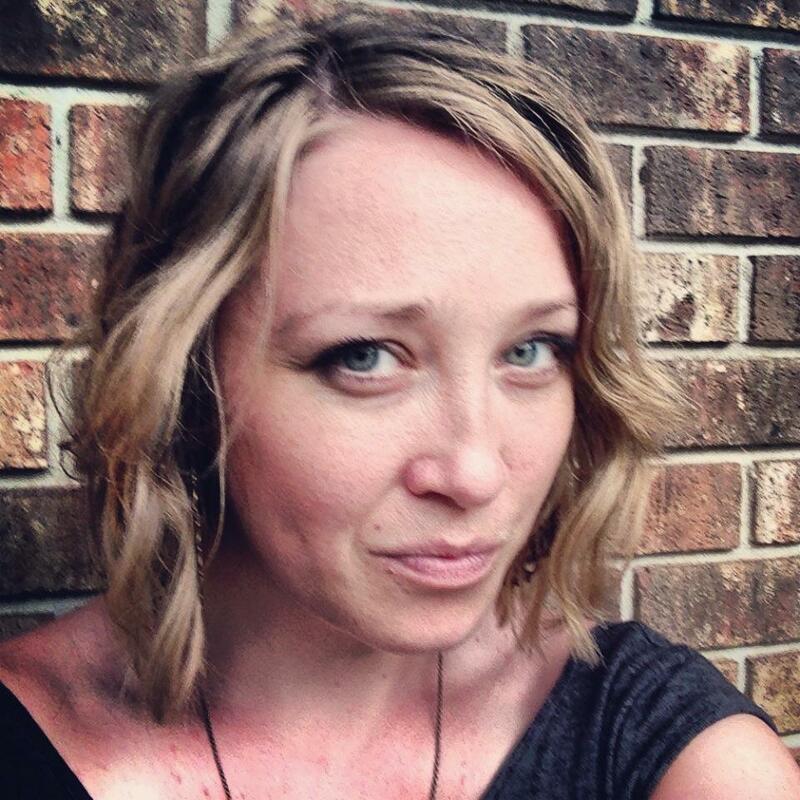 Laura’s writings have been published in Beyond Walls and Cages: Bridging Immigrant Justice and Anti-Prison Organizing in the United States (2012), the International Journal for Law and Psychiatry (2011), Islam and AIDS: Between Scorn, Pity and Justice (2009), and a variety of community publications. Professor Gálvez is a cultural anthropologist (PhD, NYU 2004) whose work focuses on the efforts by Mexican immigrants in New York City to achieve the rights of citizenship. 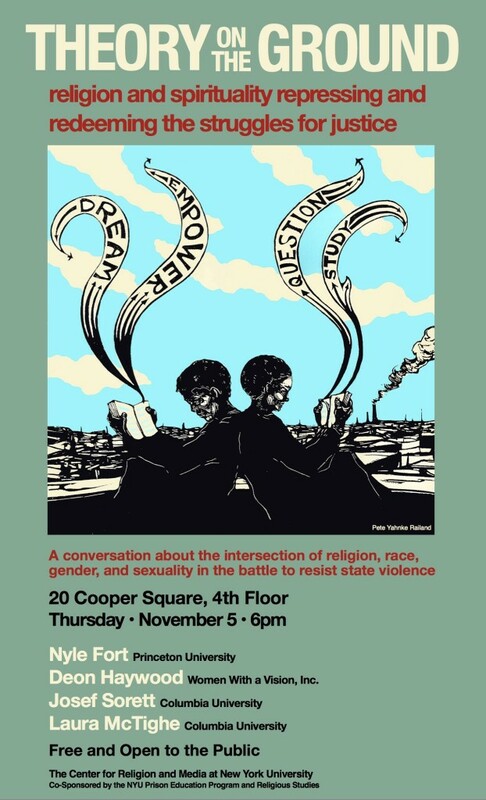 This talk asks: How do spaces of devotion become spaces of activism? What role does faith play in the construction of civic spaces and civil society among recent immigrant groups? What are the limitations of these forms of social mobilization? 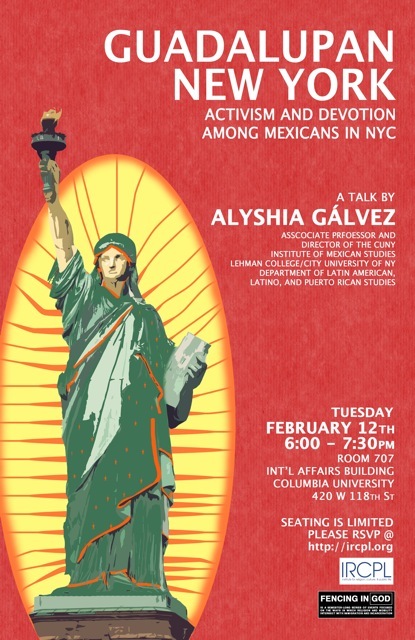 This talk will explore a decade of Guadalupan-based devotion and activism for immigration rights among recent Mexican immigrants in New York City. Based on Gálvez’s extended ethnographic research in New York City and many years of activism and advocacy, she will reflect on the changing immigrant rights movement and its intersection with faith based institutions and organizations. Professor Gálvez joined the Department of Latin American and Puerto Rican Studies at Lehman College/City University of New York in the Fall of 2007, as an Assistant Professor. Her book Guadalupe in New York: Devotion and the Struggle for Citizenship Rights among Mexican Immigrants was released in December 2009 on New York University Press. Her second book, Patient Citizens, Immigrant Mothers: Mexican Women, Public Prenatal Care and the Birth Weight Paradox, is in press in the series Critical Issues in Health and Medicine, on Rugers University Press. Other recent publications include Traveling Virgins/Virgenes Viajeras, a special issue of the journal e-misférica which she co-guest-edited; a volume she edited, Performing Religion in the Americas: Media, Politics and Devotion in the 21st Century (Berg/Seagull 2007); and articles in Social Text, International Migration, e-misférica and Revista Enfoques (Chile). This talk was delivered on Tuesday, February 12th, 2013 at Columbia University in the City of New York as part of Fencing in God? – Religion, Immigration, and Incarceration. Hosted by Institute for Religion, Culture and Public Life, this Spring 2013 semester-long series of events focused on the ways in which religion and mobility intersect with immigration and incarceration.